Attorney Lyle Koenig has handled hundreds of personal injury and insurance claims during his career. His practice focuses on personal injury cases that include automobile accidents (truck, motorcycle, pedestrian), slip-and-falls and product liability. He also handles cases involving private disability insurance claims, personal injury protection benefit claims and insurance coverage disputes. 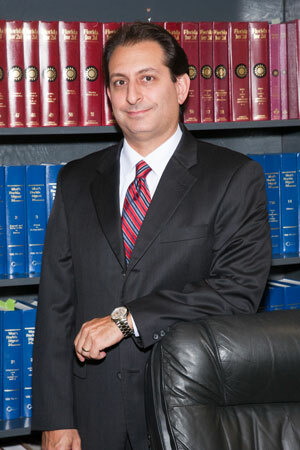 Mr. Koenig is a member of the American Association for Justice, the Broward County Bar Association, The Florida Bar, the Florida Justice Association and the Minnesota Bar. He is admitted to practice in state and federal courts of Florida and he is also admitted to practice in the state of Minnesota. Mr. Koenig has tried numerous bench and jury trials. He was the judicial law clerk for the Honorable Robert D. Walker, of the Fifth Judicial Circuit of Minnesota and is a former prosecutor. Mr. Koenig earned his law degree from the University of Minnesota School of Law in 1993, after scoring the highest attainable score on his Law School Admissions Test. He received his B.A. degree from State University of New York at Albany in 1990. South Florida Litigation Law Firm focusing on personal injury and wrongful death, auto accidents, catastrophic injuries, medical malpractice, defective products, premises liability and defective drugs throughout the United States and Florida including Fort Lauderdale, Boca Raton, Palm Beach, Coral Springs, Plantation, Margate, Weston, Boynton Beach, Lake Worth, Hollywood, North Miami Beach, South Miami, Coral Gables, and Palm Beach, Broward and Miami-Dade counties.